Detroit’s newest, laugh-inducing, good-time-causing thing to do is here! Grab your friends, bring a drink, and head out on Detroit’s Party Bike. Veterans and their guests enjoyed their ride on The Michigan Pedaler. Pictured with them are Michigan Pedaler driver D.J. Alvin (orange hat middle) and owner Mike Gill (far right). 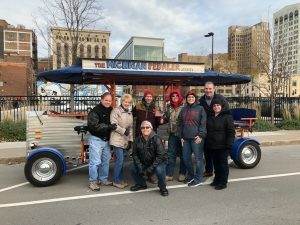 The Michigan Pedaler invited Veterans and their guests to celebrate Veteran’s Day 2018 on our bike by providing complimentary two-hour rides throughout the afternoon. 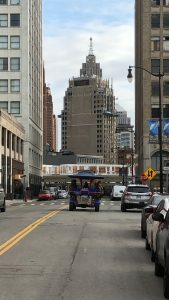 The Michigan Pedaler heads into downtown Detroit with a group of Veterans and their friends on Veteran’s Day. 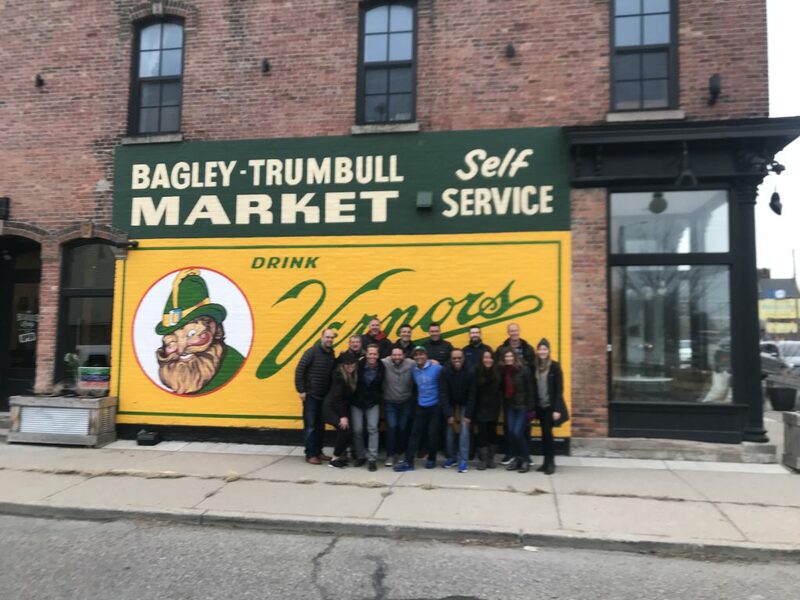 On a crisp fall November, those that served our country had the chance to enjoy some good times pedaling around Detroit, listening to good tunes, enjoying a beverage and making a few stops at local pubs. At the end of the ride, each guest received a Michigan Pedaler pint glass to remember the experience. The Michigan Pedaler is also proud that two members of its driving team are Army veterans. 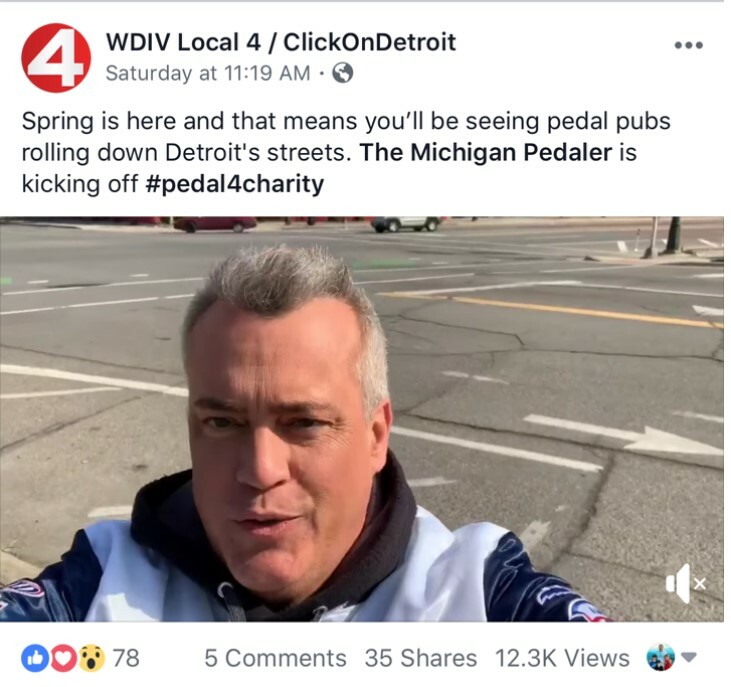 WDIVs Shawn Ley stopped by The Michigan Pedaler and learned about our commitment to helping non-profits and more. Be the first to find out about updates, seasonal specials, and upcoming events! All Content Copyright © 2018 The Michigan Pedaler. Website Created by Savageau & Co.